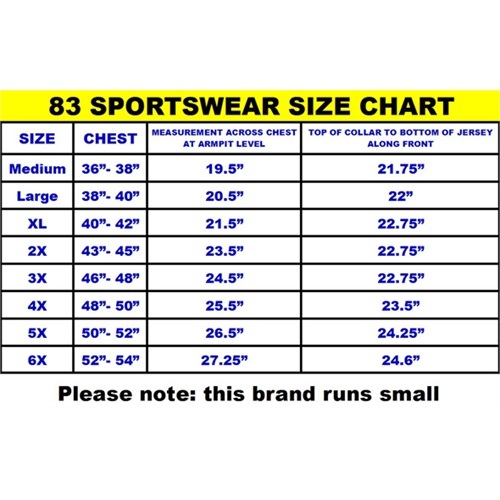 Important Sizing Note: This brand (83 Sportswear) runs smaller than our other brands of jerseys. 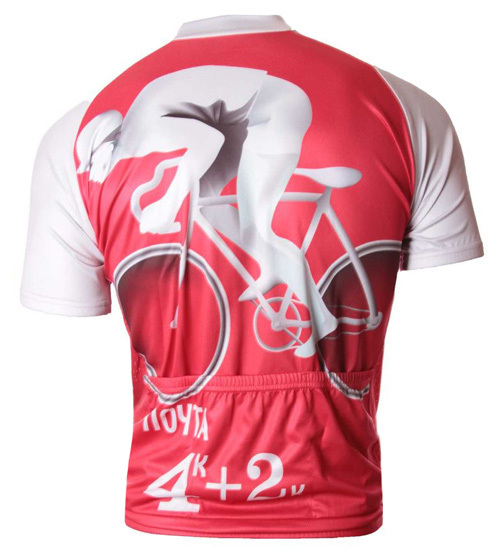 As a general guideline we recommend getting this jersey in one size larger than our other jerseys and two sizes larger than your loose-fitting t-shirt size. BRAND: 83 Sportswear - a U.S. based company making jerseys with exciting and innovative designs. Jersey manufactured in Colombia. FABRIC: Polyester Euro-Mesh Microfiber with Airdry Technology - high tech fabric creates a push/pull affect to force moisture away from the body and pull it to the face of the fabric allowing it to evaporate quickly keeping cooler, drier and more comfortable. Jersey is machine washable (cold water). $6.00 (reduced rate) for insured Airmail to Europe, Asia and Australia/NZ. Most packages usually arrive in 7-14 business days. Express Mail shipping option is offered at checkout to most U.S. and international destinations. To most U.S.(lower 48) destinations, Express Mail is usually next day delivery (not including Sat. or Sun.) to most U.S. locations. It may be 2 day delivery to smaller cities/towns and rural areas. Combined shipping discount for U.S.: Buyer pays regular shipping for item with highest shipping charge (normally $4 or $5 depending on item) and each additional item adds just $1 in shipping.